A project by Koz Development at 4708 NE Sandy Blvd has been submitted for building permit review. The development is located on a site currently home to a single story bank building. The new building will incorporate new space for Umpqua Bank, including a drive through facility. Every week, the Bureau of Development Services publishes lists of Early Assistance applications, Land Use Reviews and Building Permits processed in the previous week. We publish the highlights. This post covers October 22nd to October 28th, 2018. Develop property with a 6-plex. Project including four separate mid-rise structures with a mixed-use program comprised of multi-family housing (approximately 1,026 units total), commercial and parking uses. Parking for approximately 625 cars will be provided overall. The project will also include greenway improvements and infrastructure. 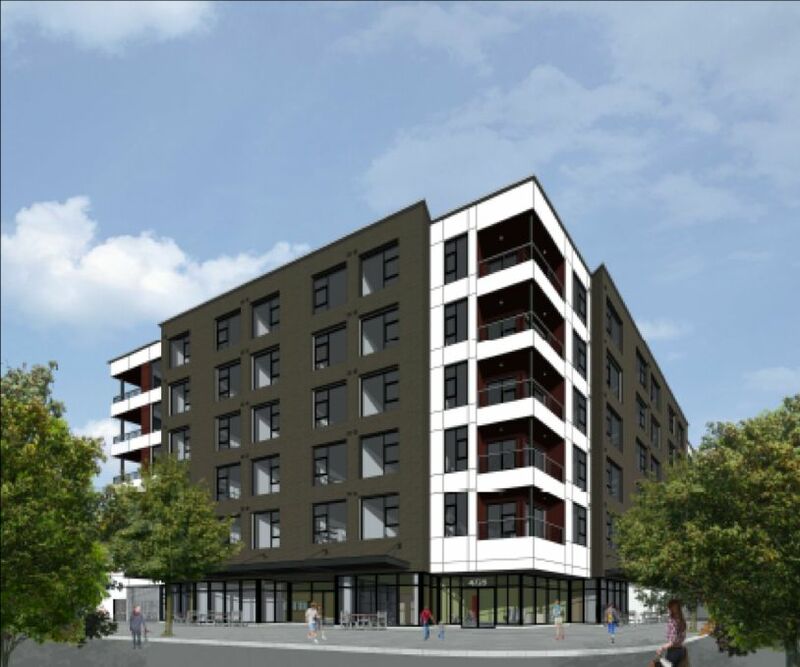 This is a Portland Housing Bond project. New affordable housing structure(s) of approximately 120-200 units.